Shore excursions. Love them or hate them, cruise lines love to sell them. But with many passengers now saving money by making their own arrangements. Is it worth the risk? 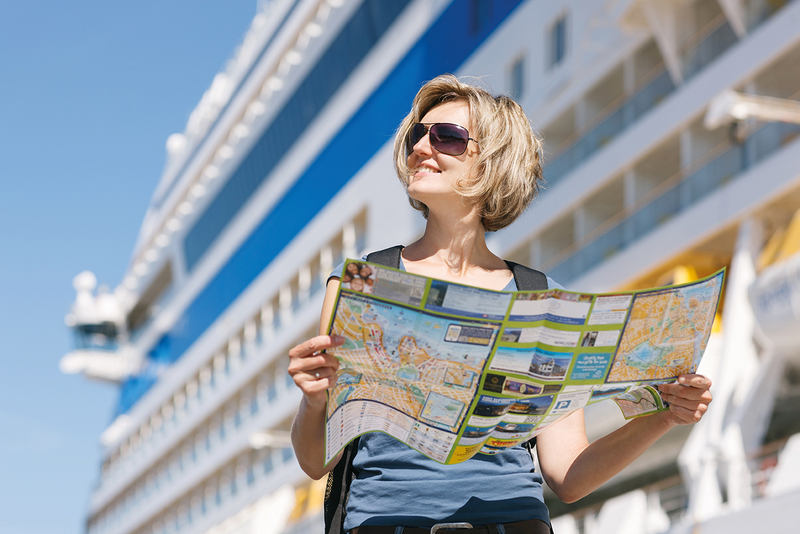 Choosing your dream ship and your perfect itinerary is only part of the planning that goes into a cruise. Unless you’re intending to spend most of your time on board (an increasing temptation on today’s megaships), you need to think about planning some shore excursions. Along with tipping and dress codes, this is one of the hottest topics for debate on the cruise forums. Should you play it safe and take the line’s own tours, knowing that you’re guaranteed to be back on board in time? Or do you take the risk of venturing out by yourself, or booking an excursion with an independent private company, hoping to save a useful amount of money, and perhaps enjoy a more personalised, authentic experience? Cruise lines will tell you that their guides are specially chosen and their tour companies carefully vetted. If an official excursion is delayed returning to the ship, the captain will wait before setting sail – something he or she won’t do for a private operator. And with their huge buying power, cruise lines can charter whole tourist boats, buses or even trains, saving you the time and hassle of making your own arrangements. They can also offer exclusive experiences, such as shopping trips with the ship’s chef. Andy Harmer, director of industry body CLIA UK, says: ‘It’s highly recommended that guests book shore excursions through their cruise line, so they can be assured of expert guides and reliable transport. Despite this, most cruisers nowadays choose a mix of ‘official’ excursions and their own independent trips ashore – even if that just means a stroll round the port before heading back to the lunchtime buffet. Ben Hewitt-McDonald, joint founder of Wave Award-winning website Cruise With Ben And David, says: ‘We save a fortune by using reputable local companies – you can easily get most stuff at half the cost quoted by cruise lines. ‘We also use hop-on hop-off buses to get a good feel for the destination, and we save more money by pre-booking, rather than paying on the day. ‘We’ve seen tours costing £125 that we can easily do ourselves for £30, especially if we use Uber and public transport to get around. ‘Not only is that cheaper, we feel we get a more authentic experience doing what the locals do. But isn’t it worth paying extra for the peace of mind you get with a cruise-line tour? ‘We haven’t had any problems,’ says Ben, ‘but we have heard horror stories about people not being back in time or being overcharged. One cruiser who had a close shave is Rob England, from Portsmouth. He says: ‘My wife and I were sailing round Italy on Emerald Princess and we had the dubious honour of being the last back on board in Livorno. ‘We’d decided to visit Puccini’s villa at Torre del Lago, but when we arrived it had just closed for a three-hour lunch break. ‘So we waited for the tour, then we returned to the railway station to find that our intended train didn’t run on Saturdays. The next one was 20 minutes late, as was the connection in Pisa. a good idea, but only when there are plenty of attractions within walking distance of the ship, so there’s no need to risk independent transport. She says: ‘At smaller ports, such as those in the Greek islands and the Balearics, it’s very easy to get off the ship and explore by yourself. ‘But at places where there’s not much to see and you need to travel further afield to visit exciting destinations such as Florence and Rome, it’s best to book an excursion. Cruiser Janine Learner, from Hertfordshire, takes the same approach. She says: ‘I usually book cruise-line shore excursions for places that aren’t near the port – for example Civitavecchia for Rome, Livorno for Florence or Malaga for the Alhambra – because I like the security of knowing I’ll be back on time. Of course, if your cruise line includes complimentary excursions in the fare, you’re unlikely to be going independent. Most river companies already do this, while ocean lines such as Azamara Club Cruises and Windstar offer evening events, and one luxury operator, Regent Seven Seas, includes free shore excursions on every voyage. ‘In 2009, we trialled 50 cruises with free tours,’ says Graham Sadler, Regent’s European MD. ‘It worked brilliantly, and from 2010 all our cruises ran complimentary excursions. PRIVATE OR PUBLIC SHORE EXCURSIONS? If you do decide to go privately and make your own arrangements, one of the best-known operators is cruisingexcursions.com, which launched in 2011. Its top-selling trip is an eight-hour tour of Rome, at £58 per person, and its two-day excursion in St Petersburg for £165 is also gaining in popularity. The company’s chief operating officer, Simonne Fairbanks, says: ’Demand for themed excursions, especially involving wine and food, has doubled since 2017. So the choice is yours: if you’re wary of using private operators or public transport in cities you don’t know, or where you don’t speak the language, booking through your cruise line offers the assurance that everything will be arranged for you. However, in the age of Google searches, online reviews and Uber, more and more cruisers are saving money by arranging their own shore excursions. The overwhelming advice of both regular cruisers and experts is to do whatever suits you at the price you want to pay – but, whatever it is, don’t miss the boat!